To drive our clients and our industry, it is time to acknowledge this disruption and adopt new approaches. In communications, we are the experts for content and earned PR. Most people would agree on that. To deliver successful communications to clients these days it takes a paid, owned, and earned strategy with perfect omni-channel orchestration. If we want to drive business, we need to manage and distribute the content across regions, platforms, and stakeholders. To succeed in the best way possible, we need a broader understanding of the possibilities of data analytics for targeting and prediction, global connectivity, and responsive technology. The presentation of the Future Lions winner in Cannes was an impressive demonstration of where we are heading in the form of Google Gesture, a device that helps deaf people speak through their smartphones by wearing special wristbands. We work with more technologies than ever, so how can we stay on top of this? We probably can’t by ourselves because there are new competitors on our turf: tech companies, as seen by their dominance at Cannes. You might think of companies such as Facebook, Twitter, or Google, but rather it is those companies whose core businesses are IT, such as Microsoft or Adobe. For instance, Adobe’s Marketing Cloud is a powerful tool to manage digital communications. In Cannes, it presented a study about "the new creative" and now it is setting the creativity agenda. To drive our clients and our industry, it is time to acknowledge this disruption and adopt new approaches. In my vision, there will be a truly connected communications strategy making sure that, with the right targeting, our content reaches the right audience through the right channels. We can predict what we need to communicate to drive sales via integrated e-commerce possibilities within our content, for example shopping for products shown in a video while watching. Future stuff? No, this already exists. All we need to do is partner with tech players. The challenge is to make it simpler to operate. We should be the navigator, the idea, and content expert in the scenario. It’s not technology just for the sake of it. It’s that we can bring extra value to our communications by adding the right technology. It’s time to acknowledge that there is a shift in how our industry needs to operate to be more successful. So let’s create this future actively. 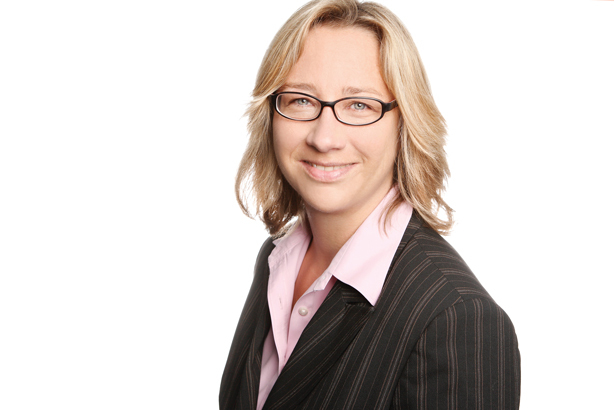 Christiane Schulz is CEO, Weber Shandwick Germany.